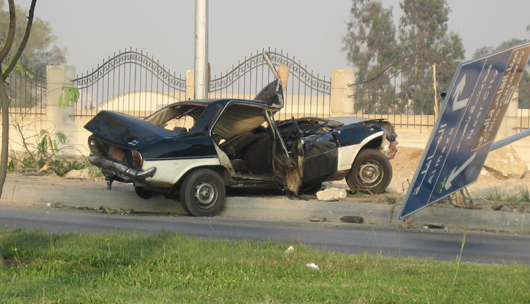 Accident in the City of Cairo Country: Egypt. One of the front tires exploded so the car rolled twice and then hit a pole, the driver survived the accident. Peugeot 504 Emad W.